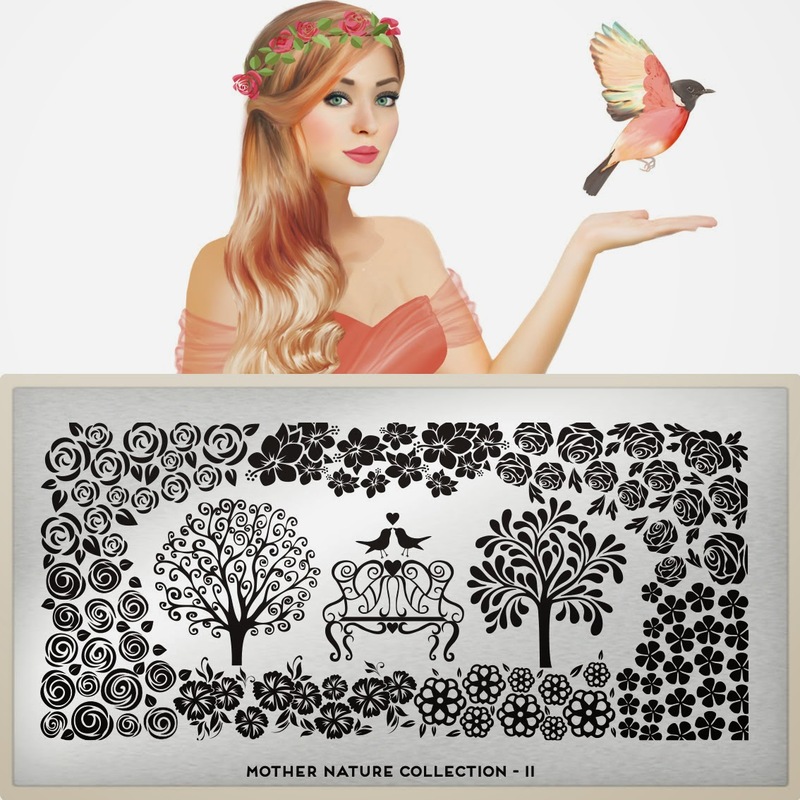 Lacquer Lockdown: Hot Off The Stamping Press: MoYou London Mother Nature Collection Expansion! 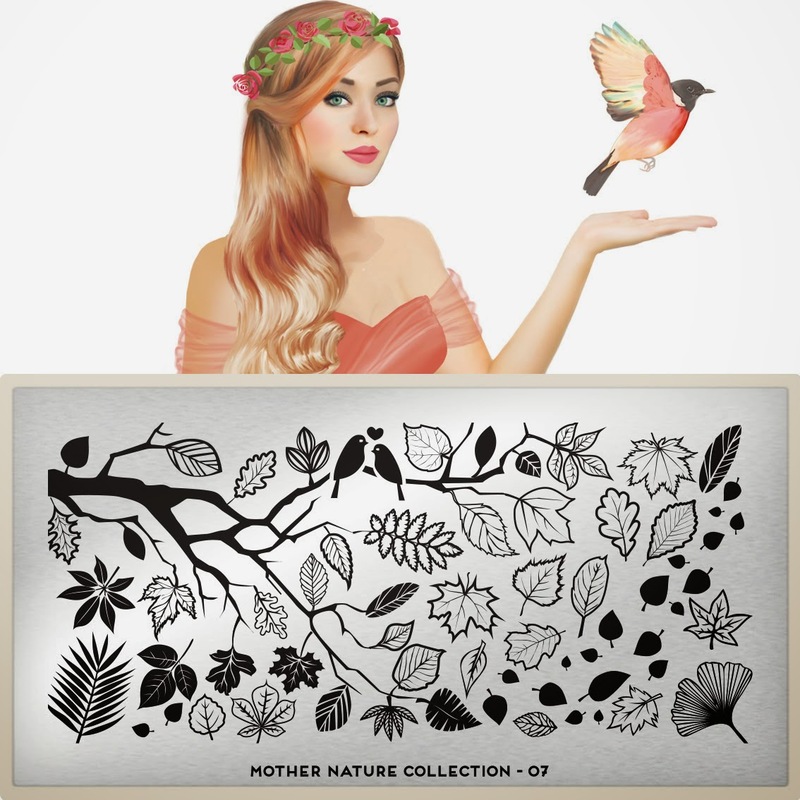 Hot Off The Stamping Press: MoYou London Mother Nature Collection Expansion! It's another season where the forecast is is rain. Luckily for us it's raining plates so we can celebrate to our hearts content! 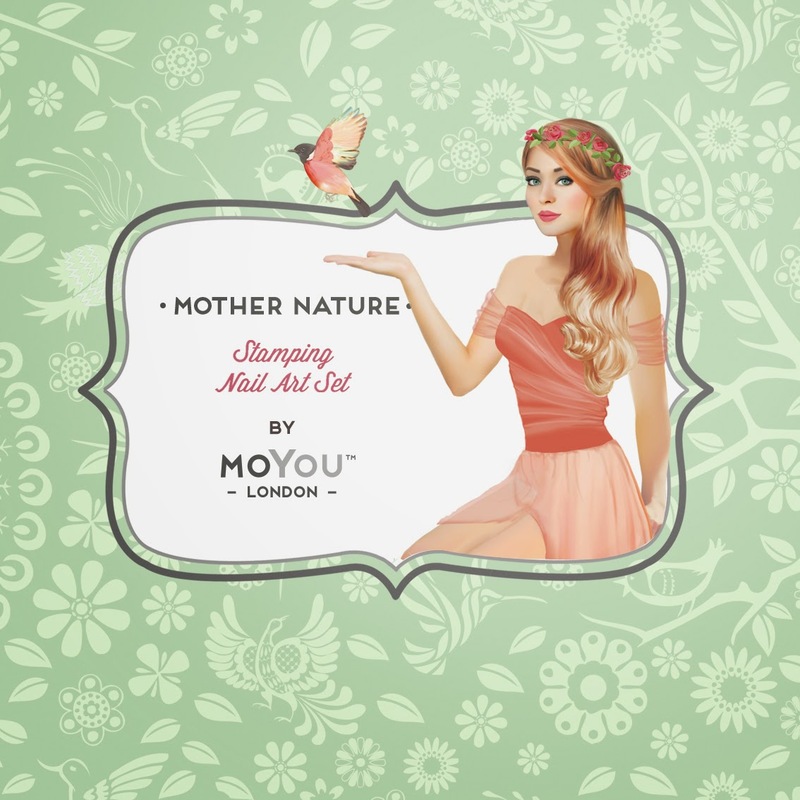 MoYou London is hard at work finding new jaw dropping ways to divest us of our sensibilities and in so doing our dollar bills for their nail art crack. 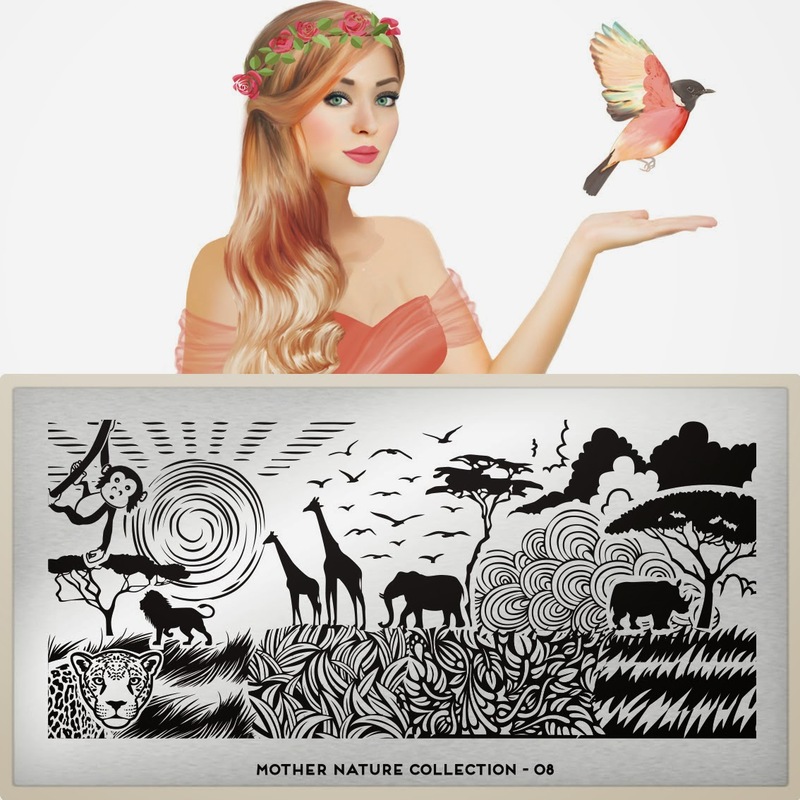 You all know I've loved the Mother Nature Collection from inception!. So of course I'm thrilled to see an expansion on the concept and I'm just gonna dive right in! Even the background on the banner is beautiful! I really wish this plate had released in the fall. So many beautiful leaves and I even see ginko leaves which I love! Another plate that would have been great for fall. 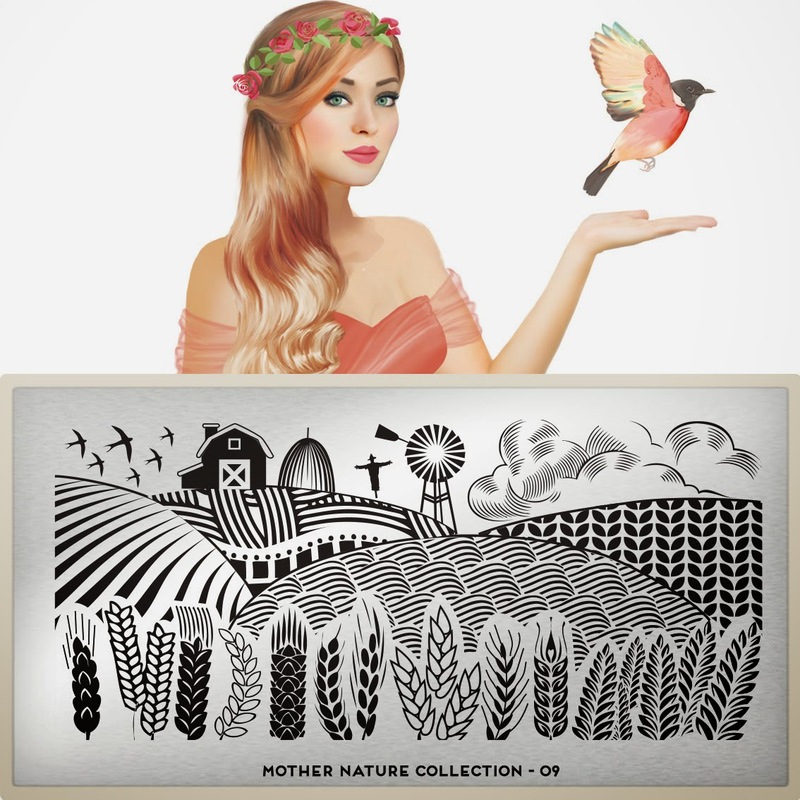 You know harvest themes, clean skies, freshly reaped fields, and farmhouses. Totally in love with the windmill, clouds, and silo! 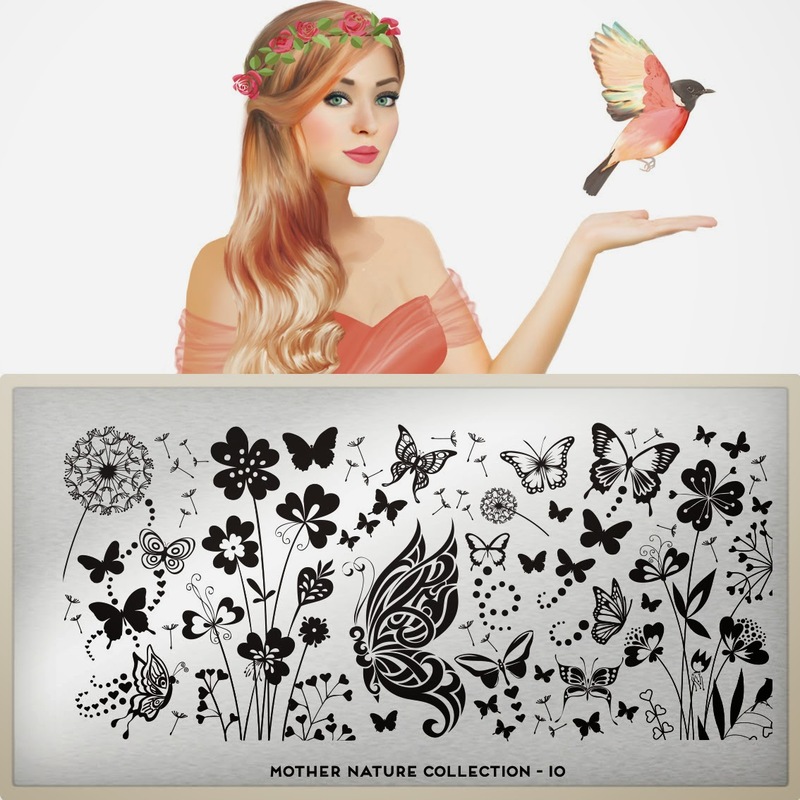 Wow the butterflies and the dandelion heads are gorgeous! This plate is so beautiful! This plate is just plain pretty. Reminds me a lot of a similar plate from this collection with the couple kissing in the middle. I do wish they'd chosen different flowers though than roses simply because I have a lot of plates with roses, but I like how they gave us different styles all in one plate for ease of access.